Doctor Pinker was very polite. His staff was very welcoming and accommodating. He gave me many different options to resolvemy issue. I like that I was treated on my first visit to his office. We came up with a plan for future treatment and things I can do at home. I would recommend Dr. Pinker . Doctor Pinker was very polite. His staff was very welcoming and accommodating. He gave me many different options to resolve my issue. I like that I was treated on my firstvisit to his office. We came up with a plan for future treatment and things I can do at home. I would recommend Dr. Pinker . Dr. Pinker treated me with respect and listened to my problem. He revised a plan for me to follow to getme back on my feet 100%. Dr. Pinker treated me with respect and listened to my problem. He revised a plan for me to follow to get me back on my feet 100%. Dr. Bruce Pinker is a foot and ankle surgeon. He is a graduate of the New York College of Podiatric Medicine (NYCPM) in New York City. Dr. Pinker started his career at the highly respected Binghamton University (State University of New York), where he earned a Bachelor of Science degree in a pre-medical course of study focusing on Biology and Philosophy. Dr. Pinker developed an appreciation for the human body and its foundation, the feet. 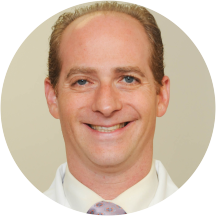 Upon graduating from NYCPM, Dr. Pinker completed two residency programs at St. Barnabas Hospital in New York, a rotating podiatric residency program and a primary podiatric medical residency program. While at St. Barnabas Hospital, Dr. Pinker had extensive exposure to foot and ankle trauma, foot and ankle surgery, diabetic foot injuries and infections, unusual diseases, dermatology and disorders of the foot, as well as general medicine and general surgery. Dr. Pinker and his office is committed to providing an outstanding experience for all patients. Offering full diagnostic testing and treatment of the foot, as well as laser treatment for toenail fungus, they have helped many individuals over many years. Their goal is to improve their patients' lives, one step at a time. This was my first visit with Dr. Pinker, it was professional and to the root, he explained everything in a soft spoken manner, I will recommend him to friends and family members. The guy seems knowledgeable and friendly. The White Plains office needs a good cleaning. I really felt uncomfortable and honestly was very shocked a doctor’s office was so dirty. Then came the doctor. His lab coat was literally black and hadstains all over it. He may be the best foot doctor in the world but his office and his personal hygiene turned me off so much I won’t be returning. He didn’t wash his hands before he touched my feet. Sorry, but that’s just not right. Very knowledgeable! He offered great information and advice! Offices were pretty shabby and his doctor coat was filthy. If you can look past that, he was nice, gentle and got the job done. Very professional and I love that they have up to date technology! Dr. Pinker and his staff were very helpful, polite, and accommodating. I would definitely go back to him for my podiatry needs. LEO friendly.